This is the story about a German veteran who served with the MFlak Abteilung 811 in Brest in 1944. His name is Wolfgang Weber and he served in the 5./MFlak 811, which was equipped with 4 cm Flak 28 Bofors guns. His position with three of those guns was a few hundred meters south east of the bridge over the river d'Élune. 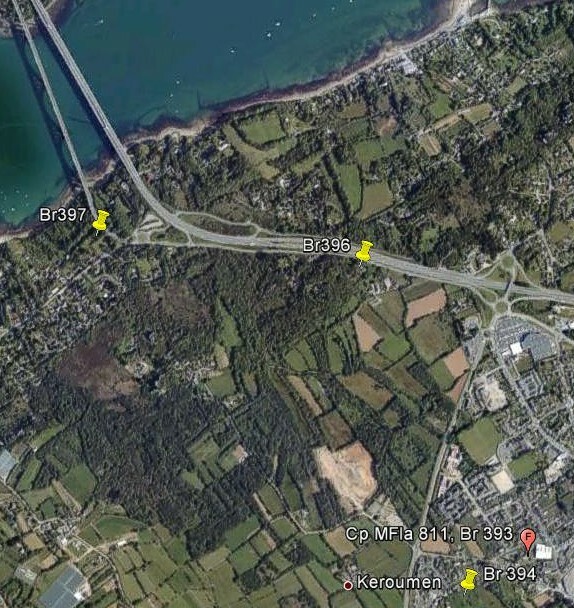 The strongpoint was Br 396, the IGN designation is Trégastel. 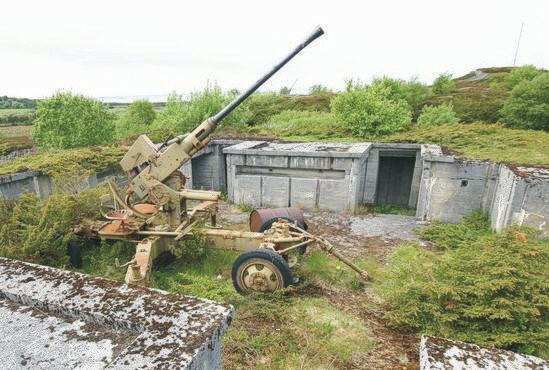 Battery headquarters was in Br 394 and Abteilungskommando was situated in Br 393. Br 397 was probably a searchlight position. The guns were divided over three bare rocks. Our veteran here is sitting on one of them. The bridge and Brest are clearly visible in the back. Herr Weber was stationed here in March 1944, coming directly from the Kriegmarine Flakschule at Misdroy, today's Międzyzdroje in Poland. The Germans made their own Bofors guns (Krupp), but the Kriegmarine also used captured ones, such as those in Norway. Wolfgang was present on 31 August 1944 in Plougastel at the staff location of 5./MFlak 811. He was behind the radio to guide "his" Bofors in shelling the advancing American troops which came from the east, since these guns could also fire on ground targets. 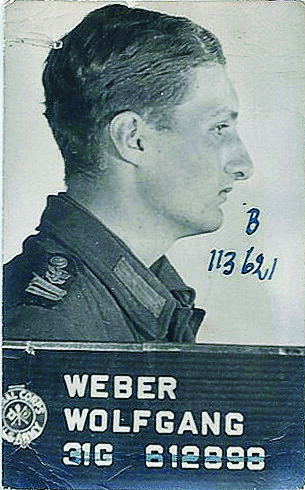 The site got bombed and Weber was attached to a small infantry unit, and after several days he was taken prisoner of war. Wolfgang was placed in POW camps in Landerneau, Morlaix and Rennes, all in Brittany. Via Tourlaville near Cherbourg, he ended up in the camp Howze in Gainesville, Texas, USA. Here is his American POW photo. 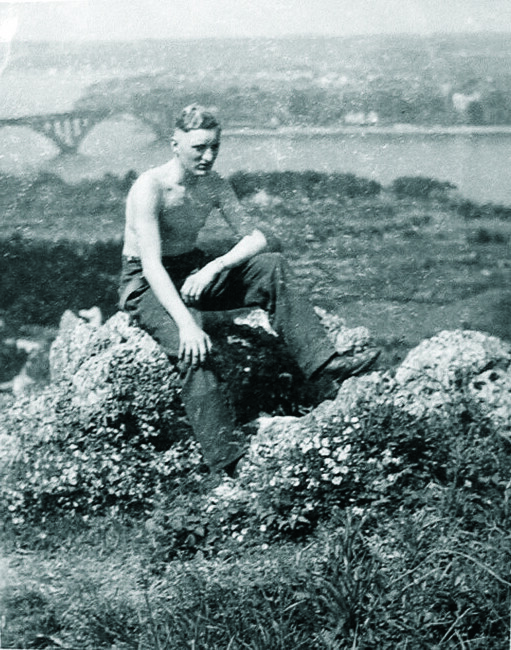 In February 1946 he was transferred to a camp near Cockermouth in the Cumbria county in Great Britain. A picture with three of his comrades in England. 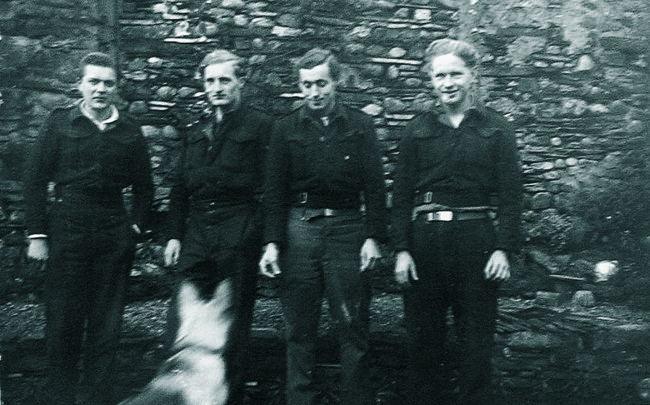 Wolfgang stands second from left. In August 1947 he was allowed to return to Germany. Wolfgang became a photo journalist. He now is 87 years of age and lives a busy live in Ohio, USA. We are grateful for his permission to bring you this story.